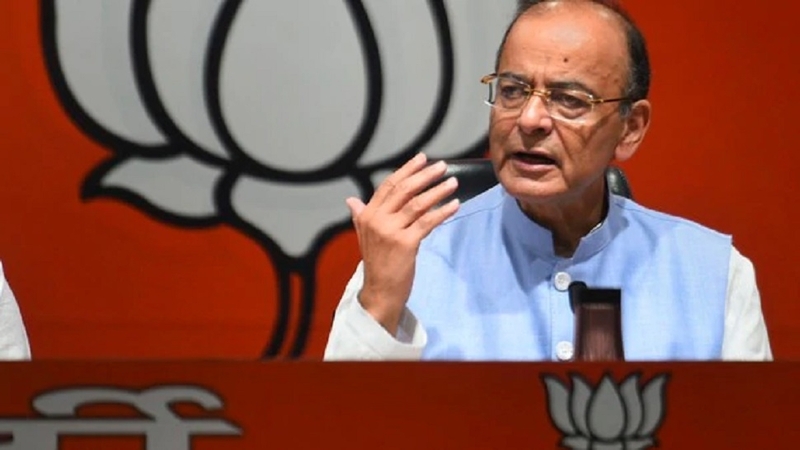 DEFENDING electoral bonds, Finance Minister Arun Jaitley on Sunday said that they are aimed at checking the use of black money for funding elections, as was sought to be achieved through electoral trusts proposed during the UPA-II regime. Highlighting the problem of black money in elections, Jaitley said that as per reports Rs 1,500 crore has been seized as a result of initiatives taken by the Election Commission (EC) and revenue authorities. “Surprisingly the attack is against the bonds and not the electoral trusts because the earlier was brought by the NDA and the latter was by UPA. The underlying principle of both is the same,” Jaitley said in his blog titled ‘The Choice of Political Funding - Cheque, Electoral Bonds or Blackmoney from Contractors and middlemen’. He further said in the absence of the electoral bonds, the donors will have no option but to donate only by cash after siphoning money from their businesses. “The recent Election Commission and IT raids have shown that it is taxpayers/ Government’s money, which, through PWD and other Departments of the Government, is being siphoned out and round-tripping into politics. “Is that a better option or the reformed system of all white money and improved, if not a perfect transparency? NGOs and commentators must look beyond their nose,” he added. The Income Tax Department on Sunday searched at least 50 locations in Delhi and Madhya Pradesh against people linked to State Chief Minister Kamal Nath, officials said. The searches are linked to suspected movement of hawala money during the ongoing poll season and tax evasion, they added. Last month, the Tax Department searched premises of aides of a JD(S) Minister in Karnataka, leading to the State Government dubbing the raids as politically motivated. Similarly, searches were conducted at the premises of senior DMK leader Duraimurugan in Vellore district over suspected use of unaccounted money for electioneering and Rs 10 lakh of alleged “excess” cash was seized. The Government had in 2018 brought in the electoral bond scheme as an alternative to cash donations made to political parties as part of its efforts to bring transparency in political funding. Under the scheme, the name of the donor is known only to banks.